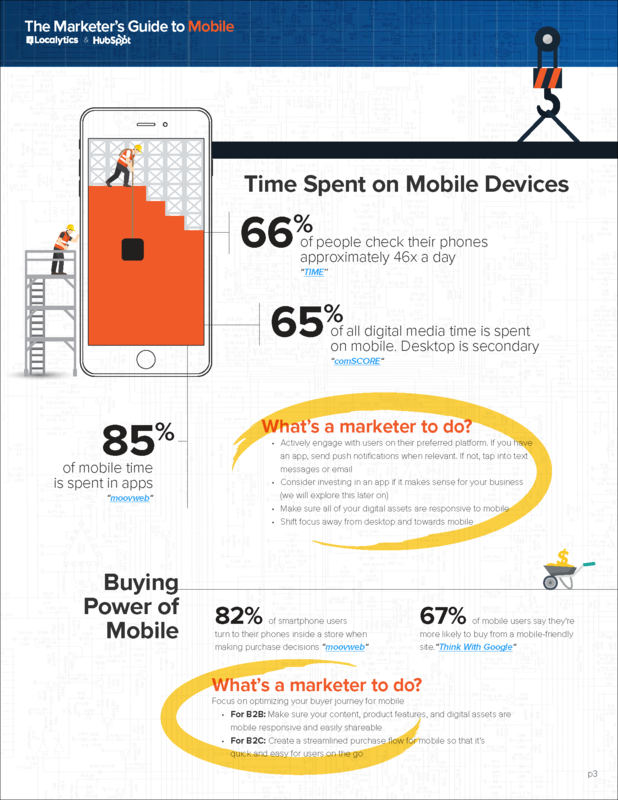 Generate more customers by optimizing your site for mobile! 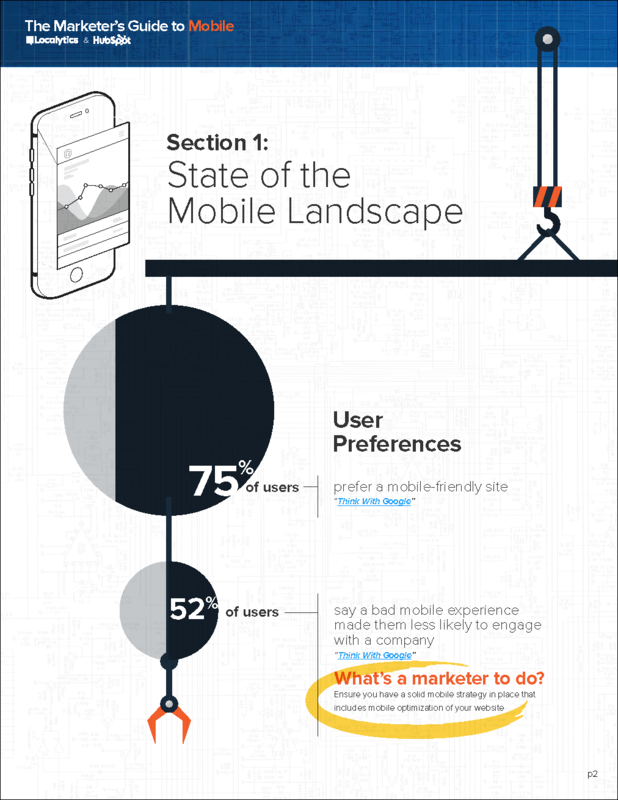 With 67% of mobile users saying they're more likely to buy from a mobile-friendly site, the time to optimize your site for mobile is yesterday. 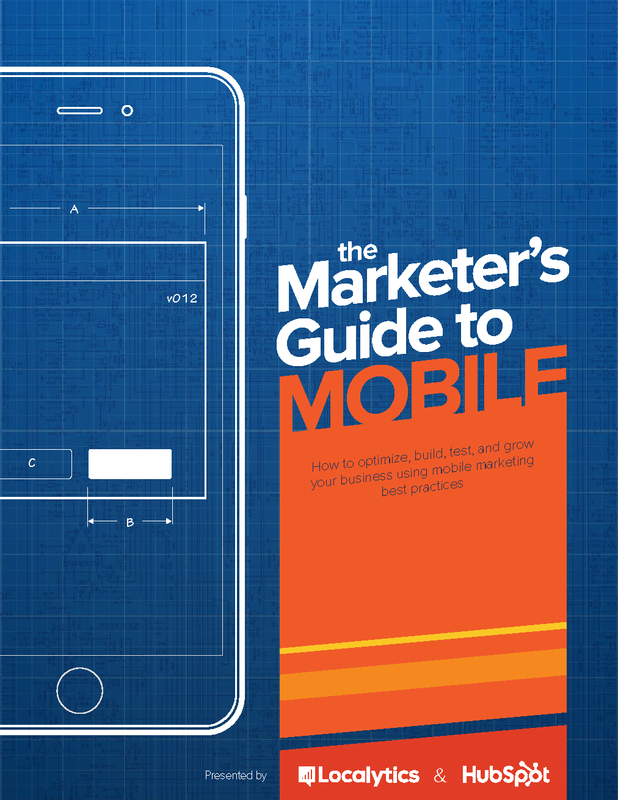 Whether you're just getting started or want the latest tips on mobile optimization, we've got all the resources you need. 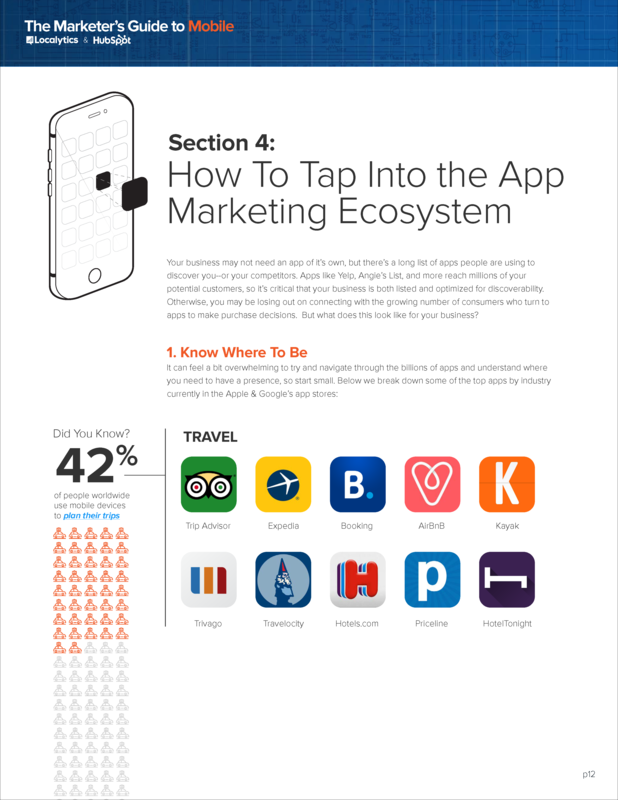 In this 5-Part Kit, HubSpot and Localytics will help you decide if your brand should have an app or not, take you through mobile marketing best practices, and how to tap into the app marketing ecosystem without building an app yourself. 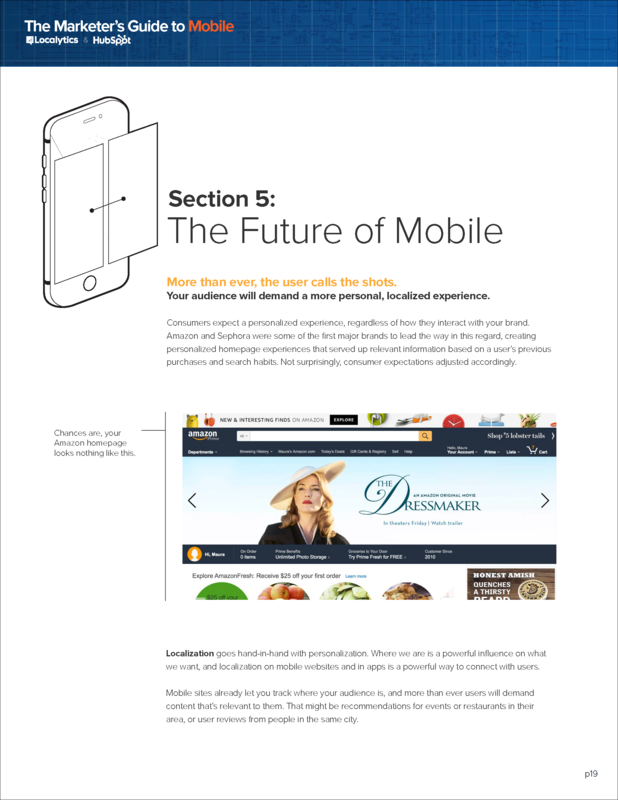 You'll also get all of the data and information on the state of mobile today as well as a timeline of how mobile has evolved to date. Ready to learn more? 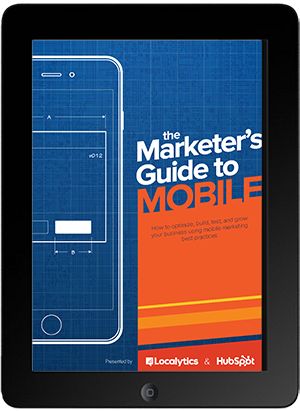 Download the full kit today and start generating more mobile leads and customers. Tips and tricks to ensuring your mobile strategy will help your business rank on search and grow in 2017 and beyond! 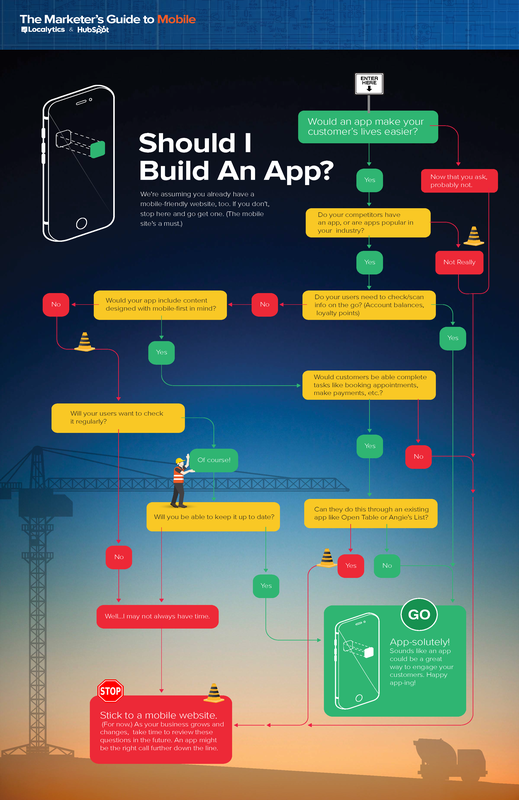 [BONUS] Flow chart: should I create an app or not? By supplying your contact information, you authorize HubSpot and Localytics to contact you with more content and/or information about each of its services. You further authorize HubSpot to pass your information to Localytics for these purposes.